For the Valentine's Day season, we brought out the heart-shaped waffle maker over the weekend. When I was a kid, I used to love breaking apart the individual hearts with my hands and nibbling on them one by one while the syrup was strategically placed in each nook. Yesterday, there was no time for that, because these Brown Butter Waffles were too delicious to take that much time to eat! This recipe created the most airy and nutty waffles I have ever tasted. And the raspberry glaze I made to drizzle on top of them was perfectly sweet and tangy. 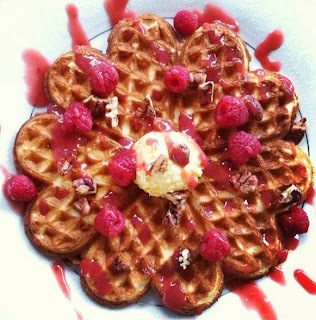 A must eat for a romantic Day of Love Breakfast. In a pan over a medium flame, heat up the jam, lemon juice and water and stir until it has warmed through. Remove from heat and whisk in the butter until completely melted. 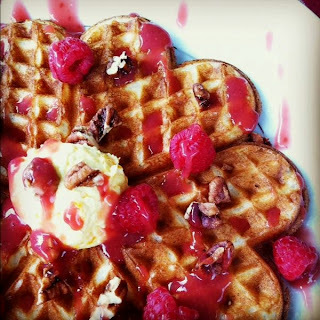 Drizzle on top of the waffles and garnish with fresh raspberries and chopped pecans. Such a delicious and Valentine-y breakfast! You just help me figure out what to make for breakfast tomorrow. Thanks. They look perfect and yummy. Oh my this looks so good! And the cute heart shape! Perfect Valentine's breakfast. 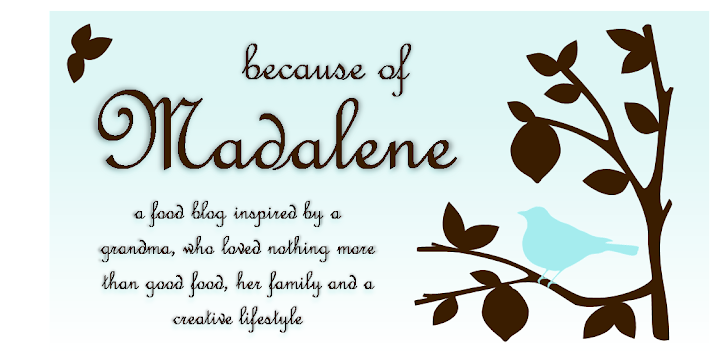 And your blog is fun, I really like it!